Missions Training Center is a spiritual base for Ambassadors to be trained and equipped for the work of the ministry internationally. M.T.C. inspires and instills within the Ambassador, the desire to achieve their international calling while becoming a specialist in what they are destined to do throughout the world. The Vision of the M.T.C. is to fuel a passion for Global Missions and to create a pathway of leadership development, to empower and launch out Ambassadors all over the world. M.T.C. is a specially designed program to prepare Ambassadors for their Global Mission. Our focus is to create a recruitment track for potential Pastors and Team members. This would serve as an opportunity for the Victory Outreach International leadership to not only train but get to know and assess the Ambassador for the purpose of confirming their potential and placing them in one of our international works according to their strengths and the need. After selecting and enlisting the Ambassador into the M.T.C. the preparation would consist of a live-in 6-month / 1 year program facilitated in Whittier Ca, hosted by Victory Outreach Whittier. Their time would be intentional focused specialized training through this fourfold strategy. We know some things cannot be taught, but they must be caught by being exposed to that which challenges our capacity, mentality, and potential. Personal Coaching – Our Founders, Elders, and Multi-Regional Leaders will personally invest in developing Ambassadors through coaching and discipleship experiences. Focused Specialized Training – Intentional specialized training will be provided for Ambassadors with an emphasis on church planting, core ministries, team leadership, and strategies to break open cities and countries. Hands-on Leadership Experience – Opportunities to serve as a point leader will be provided in several areas of ministry through pioneering church experiences and also within the launching of Victory Centers. 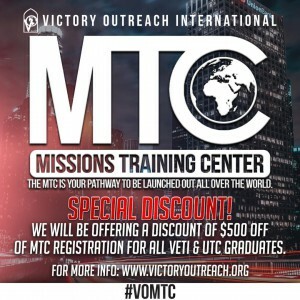 Strategic Placement throughout the World – Through the guidance of our Victory Outreach International leadership, the Ambassadors will be launched into the mission field as a pastor, mid-line leader, or a team member based upon their calling, gift-mix assessment survey, and overall training evaluation. 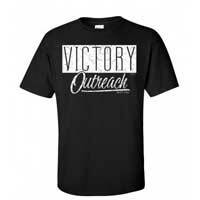 Pre-arranged Financial Sponsorship with local church, family, friends, financial partners, etc.